"As an artist....you must resist.." Cedric Cedric is a " musician super hero" who fights for the arts and eschews industry and creative restriction seen in corporate culture. He too represents like Ellison's Invisible Man, a counter- cultural cultural critic. He often "leaves the room" and travels away again before his cousin and Mrs. Turner can find him. In the opening of the book, and all throughout he's telling this story to his lady friend in a restaurant. The whole novel is him retelling his life to her. In the last chapter (Closing up Shop), Mrs. Anderson his childhood hero, simply said she had too hoped he'd find his way to his truths. The real story is through his interactions with a host of various characters; in the club, the record company, the barber shop, the church he worked in, the school he taught in in Indianapolis, the museum, the public radio station, his loves, Michelle and Myranda .... He gave his best shots, accomplished a lot actually but found others (the school, the record company, the radio station) not coming through for him, and then he slowly begins to drift into losing his sanity, finding more safety in the waring flowering voices in his own head, his " characters." 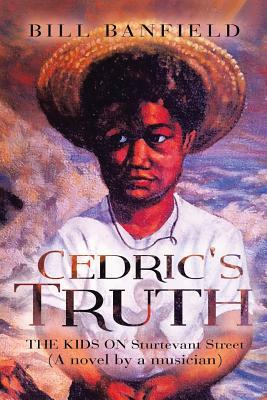 Cedric's dilemma is, living with the challenge of people and his deteriorating mind and disillusioned soul.